Last wednesday I had to go for training at Gopeng, Perak. And, I had to be there at 8.30am on wednesday morning. Since I was still tired from my trip to Hong Kong and I only came back one day earlier, I was not in the condition to get up early in the morning and drive from Petaling Jaya to Gopeng. So, I decided to go there one day earlier on tuesday night after work. My accomodation was only arranged starting wednesday. 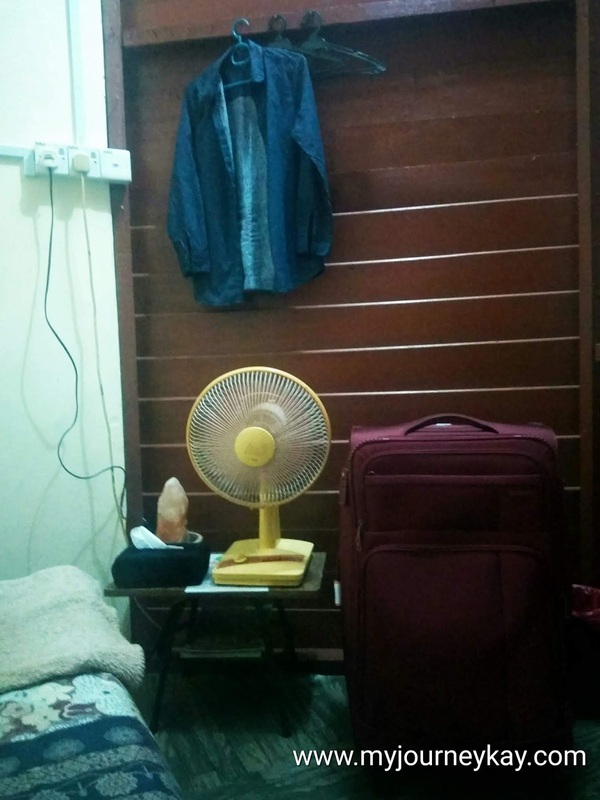 So, I decided to find a decent clean and cheap place to put up for just a night. I searched on Booking.com and found this Gopeng Guesthouse and Cafe. 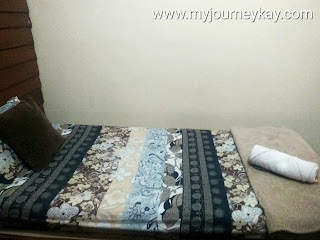 The reviews were very good and the single room per day was only RM40. It was too good to be true. So, I double checked and all the information were true. So, I made the booking online and paid with my credit card. On tuesday night, I reached there around 7.30pm. From outside, it had a totally different view from what you will see at any hotels or homestay. It was just unique. I pushed the wooden fence and went inside and pressed the bell. Nina came out and greeted me. She is a friendly girl. I took off my shoes and followed her inside. She showed me my room and gave me a form to fill up. After that, I went down and took my luggage from my car. There is no lift in here, so I had a hard time carrying my luggage to my room. My room was small and exactly like in Malay Kampung setting. There was no air conditioner, only a stand fan. And then a bed. That was all in the room. Nina said she will turn on the aircond in the lobby and the chillness will come into my room through the holes. What she said was true because I did not feel hot whole night and chillness was just nice. They also prepared a towel and a sarong on the bed. The bathroom there is sharing. There is no water heater and but it was not needed there because the water not very cold even in the early morning. I wore the sarong and went to shower like a village girl. Something I did for first time in my life. After shower, I explored the lobby. There things and the setting were really in Kampung style. They prepared hot drinks like tea, coffee and milo and biscuits. We can make our own drinks and then need to clean our own dishes. After that, I went to sleep. I managed to sleep well throughout the night. And woke up early morning and got ready to check out and leave for my training. I had little bit hard time to get ready because there was no mirror in the room. And, I was lazy to carry all my stuffs to the sharing bathroom to get ready. So, I got ready without looking at mirror. Yes, I am the girl who don't carry a mirror with me. I should get a cute one soon. Nina prepared some breakfast for me. I saw she bought a nasi lemak and some kuih and kept it at lobby for me. I made my milo and ate the nasi lemak and a curry puff. It was nice. After breakfast, I left the place in a hurry because I need to be at plant by 8.30am. I could not see Nina when I was leaving. So I just sent a whatsapp text and left. 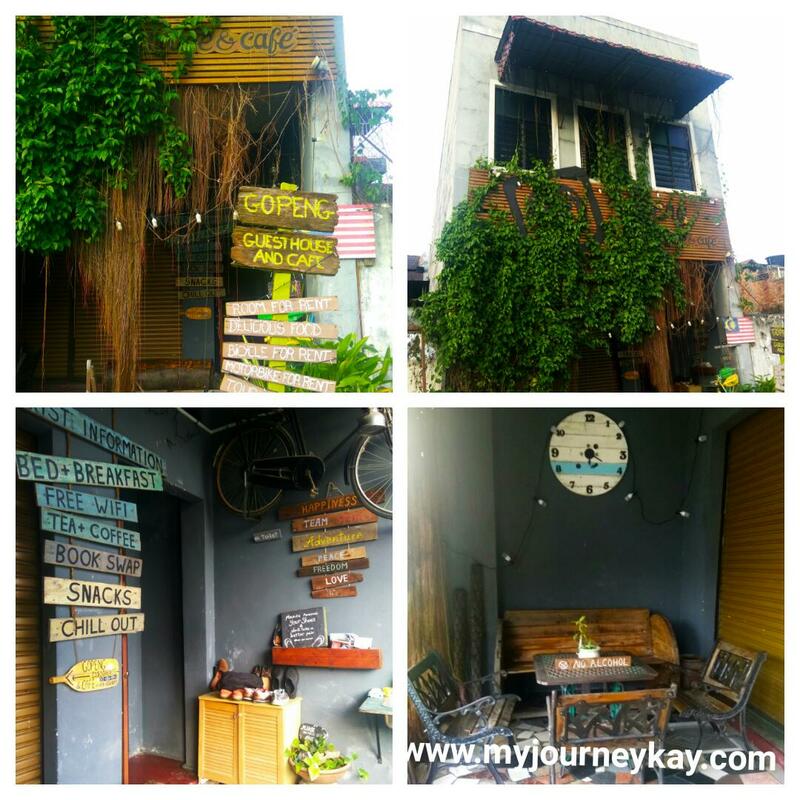 That was my new experience in a kampung style guesthouse. 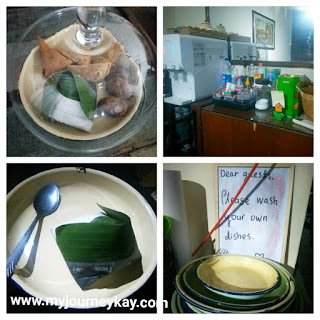 The place was clean and can get all basic necessities there. 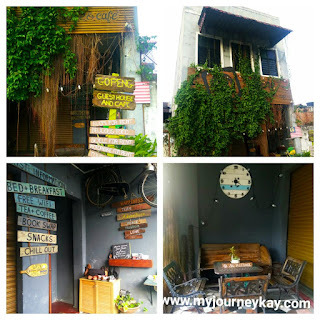 So, it is suitable if you looking for a place for just a night or you want to stay longer and experience the kampung environment. I liked that place. Worth it for the money I paid. My first time in bed and breakfast because all these while I used to stay in hotels only. A totally new experience. 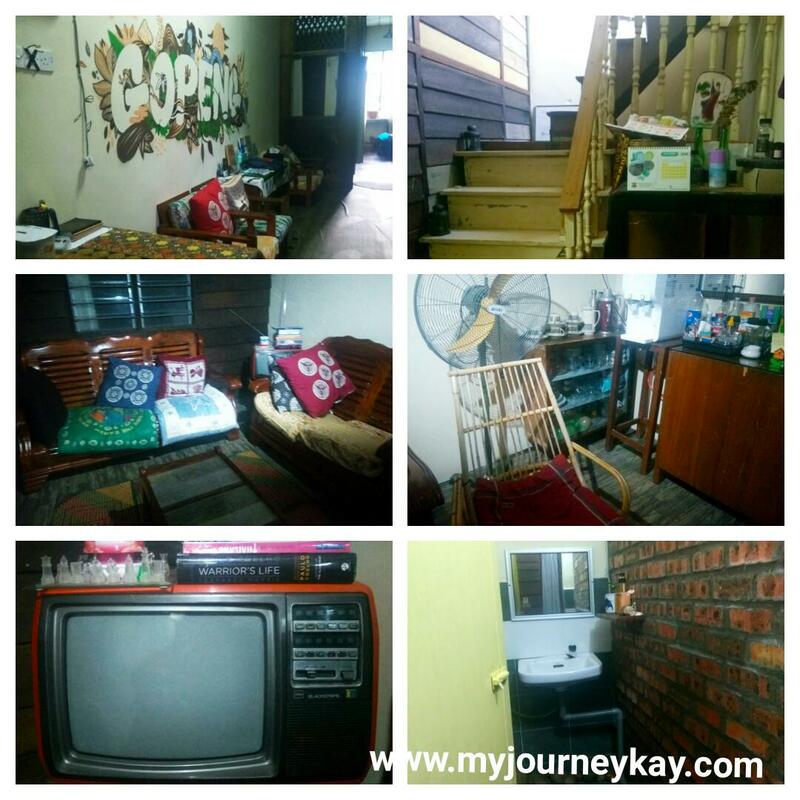 Address: No 10A BWH DT (HS/11/5), Jalan Sungai Itek, 36100 Gopeng, Perak, Malaysia. No mirror ? ahh, tu benda penting tu coz kita nak tengok wajah kita setiap hari..haha ^^ apa pun, tempat tu nampak klasik dan cool !